In the What's News segment, Ryan references several articles from Travel Media Group’s blog that explore creative content ideas for different property types. 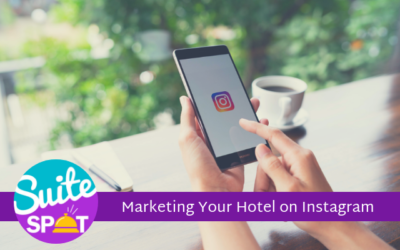 These articles share some great examples of social media posts for every type of hotel, from economy hotels to extended stay hotels. In The Suite Spot, Ryan and Priscilla discuss what it takes to produce engaging content that travelers will notice and interact with. Next, Priscilla mentions tools available for hoteliers to track success and ROI during their social media campaigns. Finally, Priscilla and Ryan put together a game plan for hoteliers attempting to launch a new social media strategy for their property. 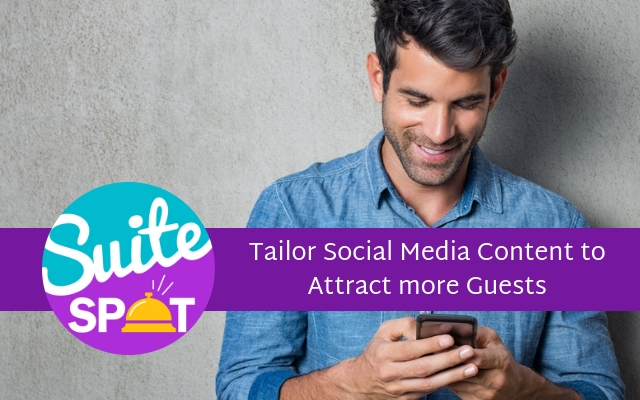 In the Q&A segment, we answer a question from a hotelier who is not the most tech-savvy but is looking to get involved in an effective social media strategy at their hotel. To hear your question answered on our podcast, submit a question by calling or texting us at 407-984-7455. Ryan Embree: Hello everyone and thank you for listening today. I am your host, Ryan Embree. Today we're going to be talking about tailoring your message for social media. We have been hearing how important social media is for hotels. I'm sure you're hearing it at conferences, you're hearing it through your brands really through all channels in 2018, we know how important it is, but I think where sometimes hoteliers miss the mark is figuring out, not just content to put on your social media, but engaging content. This episode is going to be all about tailoring your message on your social media accounts to make sure that you're in the best position to grow your audience and ultimately convert them. In our What's News segment, we typically go over an article that's trending. We're going to be switching things up just a little bit and our What's News segment. Ryan Embree: We've actually provided our listeners some really, really insightful content when it comes to tailoring your message for social media and one of the articles really is just kind of more of a broad, high level article on topics, social media topics and ideas for you to post on your social media accounts to again, grow and engage with that audience. We've also posted some blog articles, that really dive in deeper and get more specific into some of these ideas, like some ideas for your beach hotels. So we've got all these different ideas and best practices to share with you and you can find the links to these articles just within the episode description. And today we are going to be joined by someone from our social media team who partners with hotels and helps with thousands of posts a week to get out to our partners engaging content and she is going to help us walk through what goes into not just a content out there but engaging content. Ryan Embree: And I'm really, really excited about this conversation. So without any further ado, I'm going to go ahead and bring in Priscilla Osorio. She is our social media analyst here at Travel Media Group and we are very excited to have her. So a good morning. Priscilla, how are you doing today? Priscilla Osorio: I'm doing great. Thanks for having me. Ryan Embree: Absolutely. Today is kind of about all tailoring your message on social media and as you probably know, working with the hundreds and thousands of hotels that we work with, every single hotel is different. And every single GM owner, front office manager who we're working with are at different stages of their knowledge, um, when it comes to social media. So let's kind of start off basic and maybe work our way up a little bit for those who are still trying to figure out what social media is all about, what really is the point of having social media and posting on social media? Priscilla Osorio: Yeah. So social media plays a big role in reaching and connecting to today's audience. A lot of things going on are on social media already, so we're just trying to keep up with the times. A vast 82 percent of customers place trust in companies that have social media accounts. So that definitely helps build the presence and just try to get guest engagement aside from regular walk-in's and such. Ryan Embree: Yeah, and I think, you know, the way that travelers now are looking for their information and basing their information has completely changed. Where do you think social media kind of fits in when it comes to maybe a traveler's journey and the decision making and what are they looking for? What type of posts are they looking for to maybe influence their bookings? Priscilla Osorio: Yeah, so it's very important to kind of put yourself in the shoes of the traveler. So one of the important parts that you need when trying to reach the audience is attracting their experience and where they're going. They kind of, they want to know where they're going and they want to see the updated photos of the property. They don't want to just go to a place now where they don't really understand or get a good feel of the company. One of the best things to showcase is local events happening nearby. Um, if there's a concert or a game happening in a stadium and you're nearby one that definitely is really helpful. Another thing to showcase is employee events and awards that you have going on, it helps personalize and give customers that sort of personal feel of the hotel. We also post about renovations and try to get them interested in booking your hotel. There's also an option where we can promote our hotels where we can post discount special discounts. Let's say there's an event happening and it always happens every winter you want to put a 20 percent discount if you use this coupon code and we can kind of direct the clients to booking personally with the hotel. Ryan Embree: You make a great point. Social media really does play a part, you know, and I think that's super interesting that you mentioned having posts out there that inspire travel at the beginning. You have posts that are going on throughout the traveler's journey and even in the middle. And then another thing that I've seen you guys do is that post-stay right with socializing reviews out there. Uh, you have to think of, you know, TripAdvisor is really just another social media platform. So if you talk about Facebook and Twitter and Pinterest, putting those reviews on these social media sites can do nothing but help the property to again, hopefully influence travelers to book with your specific hotel. The next question I had, and I see this a lot when I look at hotels, Facebooks typically what happens is they either speak with somebody, they either go to a conference, their brand talks to them and they seem to get really excited about this stuff, really excited about social media and they seem to do a really good job of it for about a week or a month and it's typically around holidays that they put some content on there, but it's not consistent. I want you to kind of explain the difference between content and engaging content. Priscilla Osorio: The biggest part is you want to make sure you have a balanced level of diverse content. Um, that kind of sets the foundation for engaging content versus just general content. I say the three key points that you want to have are having strategic keywords, relatable posts, and guest engagement. A combination of those is really good. Whereas general content doesn't really focus on that and doesn't really serve as that call to action that brings in a lot of guest engagement. It's really important to have that sort of call to action element. Sometimes you could have a "book now" button on your Facebook page, which is what we have, which directs the guest to the website or directs the guests to the phone number, whatever they prefer, and we could also have call to action posts. One example is, let's say that there's a property in Texas and they want something that really reaches out to their audience. We'll try to say something like, "Texas has some great places for tourists to visit. What's your favorite part of the lone star state?" So just having those key words in there. It doesn't really make it sound a lot like that generic type of post that you kind of see floating around there sometimes through your feed. Ryan Embree: I love that. I think that's a really great point. You know that example that you brought up, "Texas has some great places for tourists to visit." You could easily just made that post stop right there, right, and have a picture of a place in Texas, but instead what you're doing is you're asking for your audience participation there. You're asking, "what's your favorite part of the lone star state?" And that's what social media is all about. Engaging with your audience, giving them the opportunity to speak with you, I think does exactly what you mentioned earlier, personalizes your business and gives them a comfort level to hopefully turn that trust into some transaction later with your booking. Ryan Embree: When we talk about engaging with content, we talk about likes, we talk about shares, you know, these are the things that hoteliers want to look for, responses, comments, even reviews. That's a way that travelers are engaging with social media pages. Are there tools out there to measure this sort of engagement other than just going to your Facebook page and seeing how many likes you have. Priscilla Osorio: Like you said, you can go into your Facebook page and kind of just scroll over and see how many likes you have. However, Facebook and Twitter and each platform individually has its own version of analytics or insights and that helps you see what sort of engagement is working. It helps you analyze your reach, your engagement, and what type of demographics you're reaching as well. We use this data to analyze which posts do better. That way we can make sure that future content we create kind of outperforms the previous content. Ryan Embree: So I think one of the biggest things about social media and one of the questions that we get is how can I measure ROI for social media? So I guess quite simply does engagement equal bookings? Priscilla Osorio: I'd say definitely yes, engagement does equal bookings. However, a common misconception is that it occurs from day to day and that you'll be seeing it instantly. It's something that you have to kind of build towards and something you'll reach gradually. A great way to consider it is this example of a hotel. Basically, in order to maintain a hotel, you need to maintain the landscape pressure, wash the building, keep their rooms clean and create that sort of clean, approachable, feel that he's going to make someone want to stay at your hotel. Now you won't really be able to calculate the exact number of bookings you attained from, let's say having the building pressure washed or the grass cut and things like that. However, you can definitely say that having a great appearance certainly contributes to a lot more bookings rather than, you know, not having the greatest upkeep. I'd like to think that social media is the same. Engagements, they really can increase bookings since you're creating a social maintenance, so you're maintaining a consistent and positive presence for your hotel and you're doing that through having a consistent amount of posts, social media posts. You're creating relatable content and you're pushing yourself out there socially where there's so many other hotels doing it. But this is specific content generated for reaching customers. Ryan Embree: I definitely agree with you on that point and I think before the Internet, the way that travelers we're making booking decisions when it came to hotels was the appearance of the hotel and that's why landscaping and you know, having a clean lobby and all of those factors were so important and I think what gets lost now is the first time that travelers are interacting with hotels or the way that they find them online and one of those channels is potentially social media. So if you don't have that social media maintenance on there and maintained, then you could potentially lose that traveler to your competitor. Do Hoteliers always have to pay in order to get engagement on social media? Priscilla Osorio: Yeah, so I wouldn't say they always have to pay. However, it's definitely important to have a mix of paid and organic posts. That way you can get paid and organic engagement. It's definitely possible to get organic engagement through self posting. However, if you have a situation where there is a big event happening nearby and you know that this is definitely going to help boost your bookings, my best suggestion in this case is to implement boosting with ad spend. You want to put some ad dollars behind it because you know that it's going to make a big impact on your hotel. One thing I really like about organic engagement is that it's really great for consistency and brand awareness, but I do believe that boosting a post is key for reaching a greater audience and it's just adding a boosted post makes you get more followers. Ryan Embree: I agree. 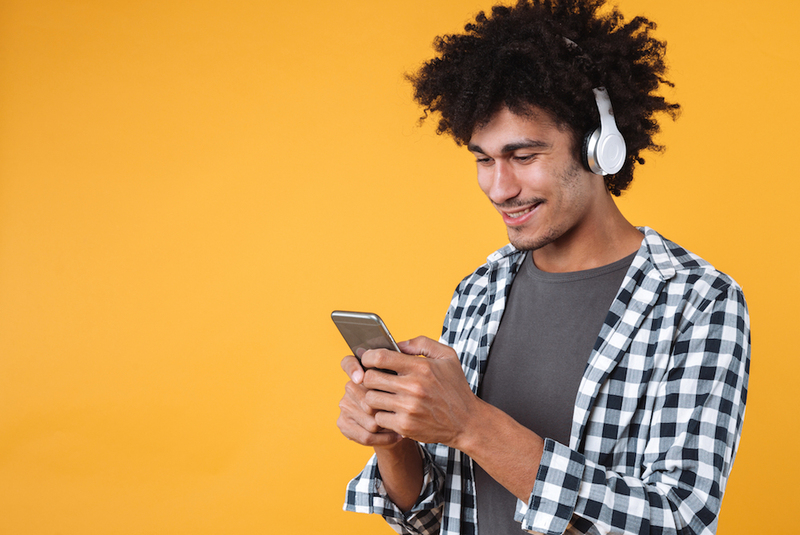 I think if you want to take your social media to the next level, ad spend is definitely a great resource out there for you. I would suggest and recommend that if you are looking to invest in social media and again take your social media presence to the next level by using ad spend. Definitely do your homework on this. Reach out to experts. We can certainly help you with some of our solutions, but you want to make sure that you're investing in the right places in order to get the ROI that you're looking for. Priscilla Osorio: Yeah, and there's definitely services out there that help manage posts. One thing I really like about our program is that we're kind of like a hybrid. We have a DIY feel and an agency feel as well. Ryan Embree: I think that makes is critical when it comes to taking your social media the next level, so when you're consulting with the hotelier who's looking to really just start their social media strategy, what are some best practices that you would suggest? Priscilla Osorio: I'd say the key points in this is basically you want to have a good amount of content. You want to make sure that it's a reasonable amount of content. Usually I'd say typically three to five posts per week. You also want to make sure that you have consistency among your posts. This plays a great role in just establishing a solid brand. 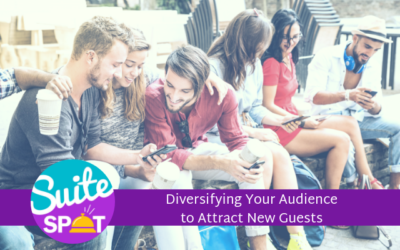 It's really important for guests to feel that your content is relatable to your property, to their experiences. They want to feel that they can relate to the hotel and that's what's going to bring him in. That's what's going to get you that extra booking. Ryan Embree: Awesome. So we're gonna transition next into our Q&A segment. I think your expertise will definitely help them in building a foundation for a social media strategy. So today in our Q&A, we've got a hotel year that asks, "I do not use social media personally and I'm not the tech savviest person in the world. Where do I even begin when it comes to creating engaging social media posts? And can you give me some examples?" Priscilla Osorio: Yeah. So I think the best starting point here is to imagine that you're the traveler, kind of put yourself in their shoes and kind of think what would inspire them to book at your hotel versus your competitors. You want to make sure you stand out. Ryan Embree: I agree. I think that is a great launching off point. When hoteliers closed their eyes and say, all right, this is my ideal traveler, this is the person that I want to reach to. Hoteliers have a really good grasp on who their target market is. Why not leverage that information because these are the types of people that are staying and looking for your hotel. I know you mentioned you don't have a social media platform personally, but if you do, I think one great tip would be to follow your page. Is your business page coming up too much on your feed when it does come up on your feed or is it all about the hotel and not the traveler? Because I think that's where some of the posts that we do make a really big difference because we're not constantly talking about the hotel. We're giving some value to the traveler. What are, whether you tips, tricks, quotes that they can share. Another thing you want to talk about is the quantity. You know, if you're seeing your hotel business way too much in your feed, your travelers are being inundated with that same amount of content which could potentially lead to an unfollow if they feel like they're just being spammed way too much. What about answering the second question, Priscilla? You know, giving some examples. Now we don't know what type of hotel this is, but let's just say this wasn't economy hotel. What type of examples for posts would you suggest to this hotelier? Priscilla Osorio: Yeah, so if this is an economy hotel, chances are that they're nearby a prime location or they're just off the highway. We can always tailor the content to fit their location, make it seem like the hotel is convenient for the traveler. Ryan Embree: Yeah, and I think if we do talk about economy, you know, we're talking about travelers that are very price conscious, right? So you definitely want to put posts out there that maybe have some really great deals, partnerships with nearby restaurants or attractions - that's catching the eye of these target market and these travelers. What would you say about someone that is next to landmarks like beaches state parks, more landscape? Priscilla Osorio: Some posts that we usually come up with. Let's say we're near a beach and there's some sort of fourth of July event happening near the beach. Um, we want to make sure that our clients get some sort of fourth of July post tailored to the beach and a lot of times we have clients who send us a message and they'll be like, "Hey, I have this really awesome firework show happening and it's going to be at 7:00 PM on the fourth of July. We really want to promote this because it did so well last year and we want to get people to stay in our hotel." We really love seeing things like that. And we find that these types of events really help. Also, if you're, If you're in a place in Georgia or Tennessee and you have a whole bunch of hiking trails nearby, it's always great to promote that as well because typically the people who are staying with you are more likely than not to be interested in those types of activities nearby. Ryan Embree: And I think that brings up a really good point and that's just about knowing your market right, not just knowing the travelers that are coming in, but knowing your city. I mean you've been in that market for x amount of years, you know, when the really busy times are for that market and you know when the slower times for that market. The events that are held annually or locally that a lot of travelers come in for, you can definitely leverage that stuff on your social media posts to make a difference. One of those things that you definitely want to consider is again, giving your travelers channels to book directly because even if you are going to be slammed packed for that, uh, weekend, you would much rather have that traveler finding you on social media and booking directly with you than going through an OTA and filling up all of your rooms, with commission rooms. So definitely something to consider. 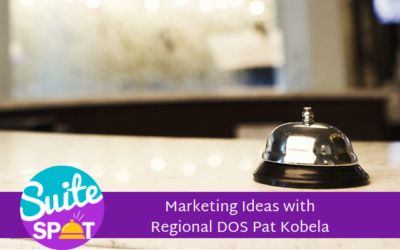 Any other last minute tips or tricks that you would want to share with the hoteliers out there, Priscilla? Priscilla Osorio: I think it's just really important to kind of engage with your local audience as well as the traveler's experience. Posting is very important. You want to make sure that you're consistent, reliable, relatable, and you're just kind of up to date with the photos and what's happening around and the trends that are occurring. Ryan Embree: Awesome. Well, some really insightful stuff there. I am so happy that you were able to join us here to kind of see the person behind the curtain with some of the social media content that we put out there for our partners. And if you're interested and really getting a solid strategy together. Again, here at Travel Media Group, we've got a great social media platform and program that can help you with everything that we talked about today from posting on a weekly basis, to helping you with that ad spend to boost posts that are going to grow your audience, and really be able to dissect and analyze those data statistics that you're getting about the followers in your market. So if you're interested in that, please contact us here at Travel Media Group. We would be more than happy to help you. Ryan Embree: Now if you have any questions that you would like answered on air around a particular subject, we can hear from you. I'll give you that number. That's 407-984-7455. I want to thank Priscilla for taking the time to be with me. I want to thank you all for listening today and we'll see you next time on the Suite Spot. Ryan Embree: To join our loyalty program, be sure to subscribe and give us a 5-star rating on iTunes. Suite Spot is produced by Travel Media Group. Our editor is Anne Sandoval, with cover art by Bary Gordon and content support by Amber Wojcek. I'm your host, Ryan Embree, and we hope you enjoyed your stay.